Granite pillars flying the 56 flags in the background. 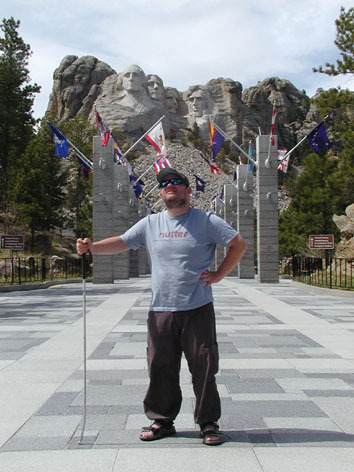 The flags are of the 50 US states and six US territories. And in the distance are the sixty foot high faces of Mount Rushmore. From left to right they are George Washington, Thomas Jefferson, Theodore Roosevelt and Abraham Lincoln. 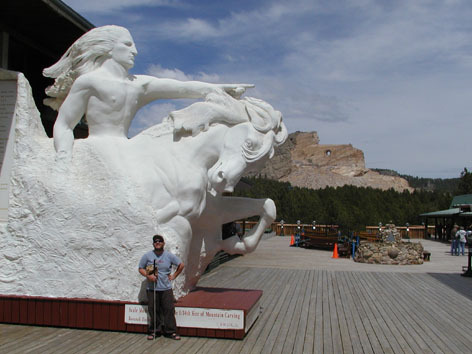 Standing next to a plaster of Paris statue of Crazy Horse. It’s 1/34th the size of the mountain in the background. 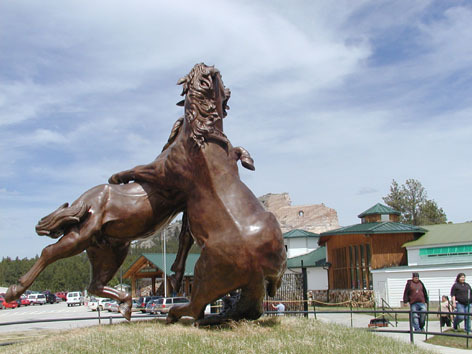 Life-size bronze statue of Korczak Ziolkowski’s Fighting Stallions, with the visitor centre, museums and Crazy Horse Mountain in the background. 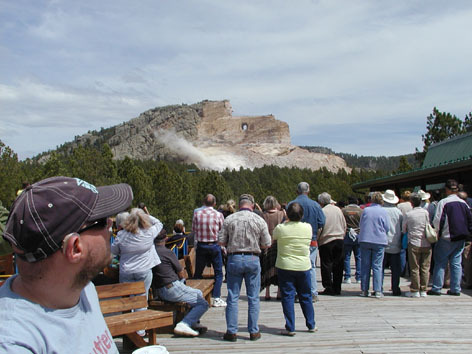 People watching dust from an explosion on the mountain.